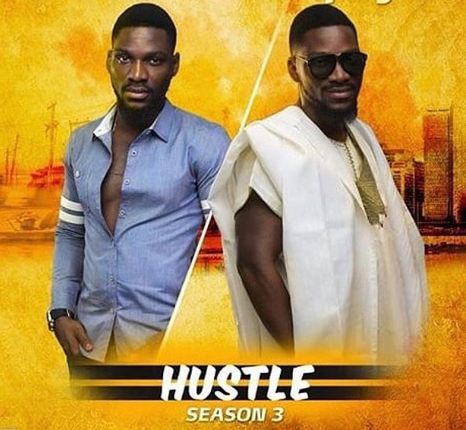 The selling point of the newly inaugurated third season of Hustle was Tobi Bakre, the Big Brother Naija alum who has now transitioned into a bonafide celebrity. It took five episodes for the show to unveil Tobi and was it worth the wait? Not exactly, given that the episode didn’t particularly revolve around the reality star. Instead, the latest instalment shifted our gaze on Ochuko, who experiences and endures a catastrophically bad day after Madam Sekinat placed a curse on the thief that stole her money. Throughout, Tobi lingers on the margins and he appears as himself, just back from the UK and seemingly self-sufficient. The aforementioned curse is framed to look like it’s having an effect on Ochuko, who has a job audition to attend and a “meeting” with his girlfriend. Accidentally, his shirt rips after spraying Tobi’s perfume in his room but he changes it into a new one. The taxi he boards breaks down, he finds a bus but the conductor assaults him with mouth odour so he gets down way before the bus stop. Subsequently, he is physically assaulted by a street overlord and caught by a LASTMA official for crossing the road. As if this isn’t enough, his job audition gets postponed and his girlfriend, whom we have never met, informs him that she won’t be available. The disappointment lances through him and he admits to himself that the reason his day is going so monumentally bad is because he stole Madam Sekinat’s money. It turns out that the culprit is Tobi, who stole the rest of the money while Ochuko only took 1,000 naira. The episode, on the whole, isn’t a strong, convincing debut from Tobi Bakre. We just need to give him time to grow into the show.